• To develop and encourage community spirit by promoting an interest in and participation in the community’s beautification. • To foster, teach, and promote the advancement of gardening and horticulture. • To assist and promote conservation efforts of the community and contribute to improvement and development of the community’s conservation areas and other similar beautification projects. • To provide scholarship assistance to worthy students pursuing a course of study in horticulture or related fields. We meet on the last Wednesday of each month at the Westborough Senior Center, 4 Rogers Road in Westborough. Meetings start at 6:30 for our business meeting, 7:00 social time, and at 7:15 we start our scheduled program. Meetings are open to the public, except where noted. The Westborough Economic Development Committee was proud to recognize the Westborough Garden Club for its Downtown Beautification project with the Civic Pride Award at the Economic Development Committee’s 2017 Year in Review Fourth Annual Celebratory Event. 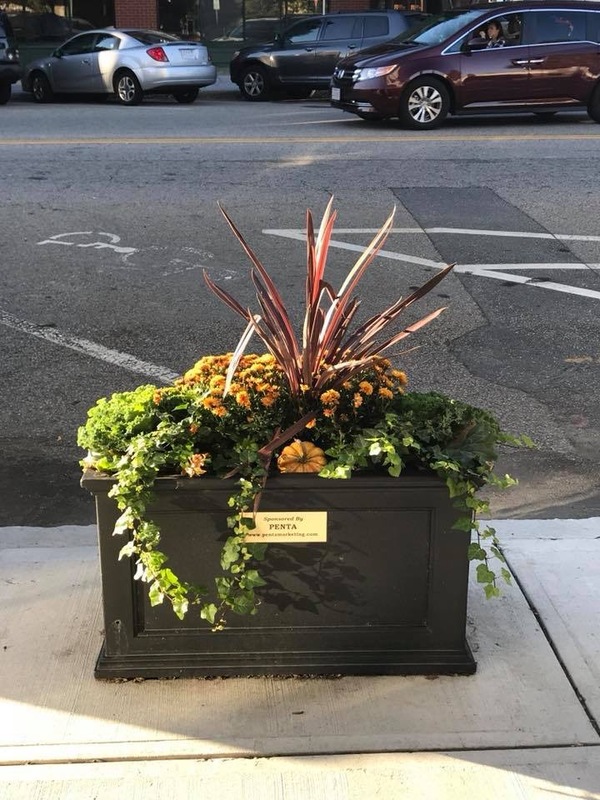 The Garden Club, under the direction of Beverly Linanne, oversaw the procurement, planting, watering, and maintenance of thirty – yes 30 planters around the Rotary. More information of these and other club involvements may be found on the Civic Projects link on the left.